Working in a laboratory gives you an opportunity to find employment in the healthcare field and be involved in the treatment process, even if you don’t want to be directly working with patients. Lab assistants have an entry-level position in the field and they’re mostly responsible for administrative tasks, inventory maintenance and the analysis of some lab specimen varieties. Getting started with the job is easy since solely a high school diploma will be required. A lab assistant could then continue their education to become a laboratory technician, a medical technician or a laboratory supervisor. If you’re interested in pursuing this career opportunity, you may be wondering about the salary of a laboratory assistant. Keep on reading to find out more about the financial parameters of this entry-level position. How Much do Lab Assistants Make in the US? A laboratory assistant in the US earns a median hourly salary of 14 dollars per hour. This is the more common possibility because many lab assistants aren’t employed full-time. The highest hourly payment in the field is 19.29 dollars and overtime work is compensated at 28.41 dollars per hour. The median annual salary of medical lab assistants is 31,777 dollars. The highest salary could reach 41,533 dollars per year. When it comes to the national average, the amount is 30,000 dollars per year. Entry-level lab assistants earn four per cent less than the national average. Late-career assistants could end up to 13 per cent more. The skills that lab assistants have will also impact the salary that they earn. Lab assistants that know how to analyse lab samples earn 10 per cent more than the national average. Professionals that have skills in the field of quality assurance earn two per cent more and those familiar with data processing earn one per cent more. How Much do Lab Assistants Make in Canada? The median annual lab assistant salary inCanada is 34,060 Canadian dollars, which means that the professionals in the country earn approximately the same amount as theirUS counterparts. The best-paid medical lab assistants could expect to earn up to 53,023 Canadian dollars per year. The median hourly payment for these professionals is 15 dollars per hour. The hourly payments could reach up to 25.68 dollars and up to 44 dollars for overtime work. 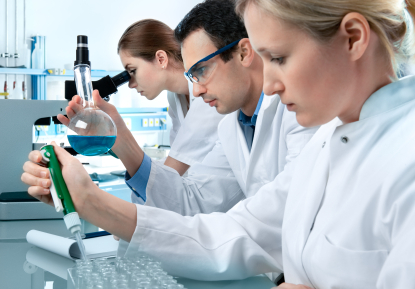 Lab assistants inCanada earn a national average salary of 34,000 dollars. Entry-level lab assistants can expect to make six per cent less than the national average. More experienced professionals in the field will end up making up to 45 per cent more than the national average. Needless to say, the salaries of medical lab assistants vary from one place of employment to another. Geographical location will also have an impact on their payment. Most of these professionals are employed either by hospitals or by medical labs, the Bureau of Labour Statistics reports. The mean annual salary for hospital lab assistants is 40.050 dollars per year. Assistants working in labs make 37,670 dollars per year and the ones working in medical offices – 39,600 dollars per year. The best-paid medical lab assistants are employed in the field of supplies manufacturing, The median annual salary in the industry is 50,000 dollars. In terms of location, the highest-paid medical lab assistants work inRhode Island,Connecticut,California, andPennsylvania.Georgia,Florida andUtah are three of the states featuring the lowest annual lab assistant salaries – the range in these places is from 24,320 to 35,550 dollars. Many people see a career in the healthcare field as a lucrative opportunity because of the stability and the growth opportunities available. These individuals aren’t mistaken. The Western population is growing older and the prevalence of chronic diseases is increasing. As older medical professionals are starting to retire, new employment opportunities become available. The demand for professionals in the field of laboratory work is expected to increase by 15 per cent in the years until 2022. The number is just slightly higher than the average increase across all occupations. As a result, the selection of this particular medical field will give you stable employment. In addition, the salaries of medical laboratory assistants are also expected to go up in the years to come.